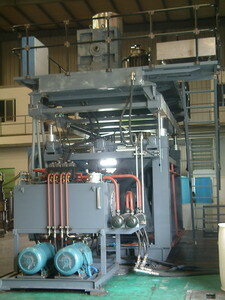 This large extrusion blow molding machine FT750-120 is for the production of blow molded containers, mainly applicable to the production of various packing barrels with PE and PP material and capacity between 120-220 liters such as dual L rings barrel, toolbox, motor car parts, gasoline tank, wind pipe and other large and medium sized plastic hollow products with capacity at least 17 pcs/hour. 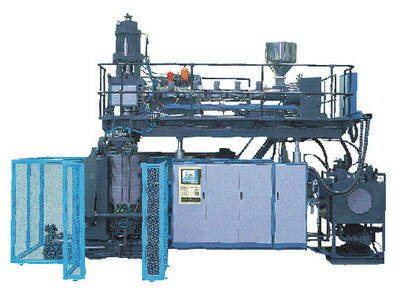 Mould Head: With imported thickness controller, vertical type FIFO accumulation chamber, mould channel adopts dual fold structure with smooth surface and without dead angles. 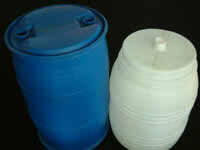 Good quality of preform, easy to change colors. Preform Control: Adopt Austria 100 points axis type preform controller with high control precise. 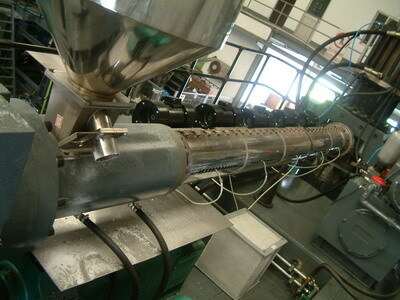 Extrusion System: Main screw diameter 120mm, Length/Diameter=30:1, adopts imported automatic temperature controller, the screw could be timing by hard gear surface speed reducer with direct current timing motor. 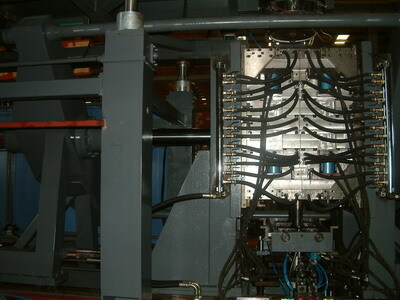 Mould Clamping Device: Dual tie bars clamping organ, direct rolling guide, direct displacement sensor, large mould space and easy mould replacement. Products Take Out Device: Adopt stroke multiply organ to insure compact structure and least edges flashes. Hydraulic System: Adopts pumps combination loop, reliable motions, noninterventions. 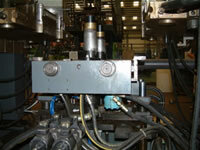 Adopt Japan imported hydraulic components such as Yuken brand. 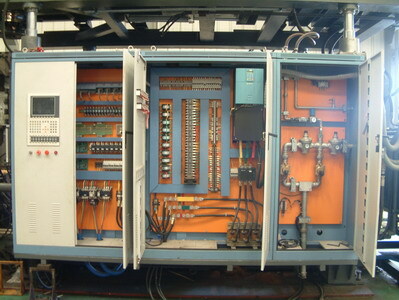 Electric Control System: Fully computer controlled system adopts Europe standard control modules, advanced human-machine interface to replace traditional panel, thus whole system is with high automation level, flexible parameters enactment, centralized display of whole machine with open structure and filed bus interface for direct operations. 1. Pricing on USD100=RMB796 basis according to http://www.bank-of-china.com/en/common/service.jsp, if the exchange rate fluctuates more than 1%, then prices should be adjusted in last payment. 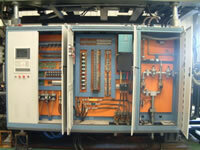 Wiring, tubing and related materials which are outside of machines. 3. Terms of payment: 40% T/T down payment plus 60% T/T payment before delivery. 4. Lead time: Around 70 days after receipt of down payment and clarification of all commercial and technical details in the contract. 5. Training: Seller provides free training for one or two Buyer's engineers, while fees of traffic and accommodation should be paid by Buyer itself. 6. 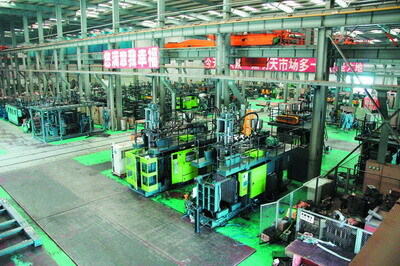 Installation and start-up at Buyer's factory: Buyer should inform Seller after machines reach Buyer's factory and place machines to the right positions according to machines manual. 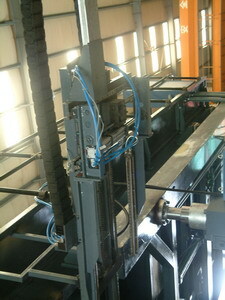 Seller will send its engineer to test machines until they are running in normal states. Buyer will bear the to-to-fro air tickets, hotel/food and so on. And Buyer will pay USD35/day/person as labor cost to Seller's engineer which should be calculated from he leaves Seller's factory until he leaves Buyer's factory. 7. Guarantee: Quality according to ISO901 & USA Symix ERP & Enterprise standard 《Q/GBHW01-1999》and 《JB/T8539-1997》. Each component has its unique computer code, so we could offer fast and close services to Buyers. Guarantee is valid for 12 months which is calculated from the test running date. If malfunctions are arised from machines'quality, Seller will provide new parts to replace damaged ones free of charge while Buyer should mail back damaged parts to Seller. If damages are caused by Buyer's wrong operations and bad maintenances, Seller could provide new parts to Buyer while Buyer should pay for new parts and theirs mailing cost. 8. 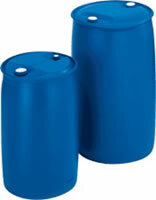 Offer Valid Time: Our offer is valid for any orders placed within 30 days. Unless otherwise stated all conditions and terms are based on this list. 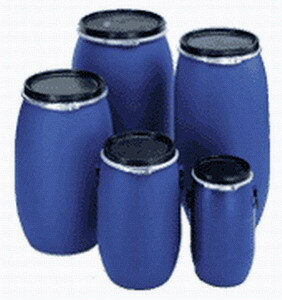 Our offer is offered for Buyer's reference during feasibility research stage and not acts as enclosure of contract. Only contract is final file.The particular technical datas would be provided if Buyer is interested in above offer. If there are any further questions, please get in touch with us freely anytime.